Artists at Mauricio Hair are fully dedicated to the art of healthier hair-care. Our services fuse luxurious style with non-toxic products. 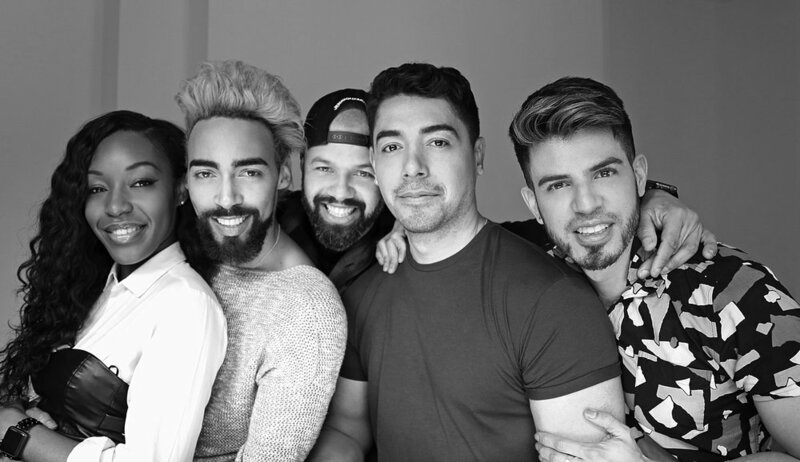 Vinzar, originates from a small town in Dominican Republic called Moca, he built roots in New York over 2 decades ago and pursued a career in Clinical Nutrition before taking over the beauty industry through Mauricio Hair Studio, where he’s known as Master of Blondes, and Project Manager. With over 15 years of experience, Andres is at the forefront of the latest color trends and styling in New York. His warm personality and high quality work makes his one of our top and most sought after artists. A seasoned dry cutting specialist and L’Oreal certified balayage artist, Simone’s passion for hair has deep roots that started at a very young age. She revels in bringing forward the beauty in all hair types and textures while maintaining the integrity of the hair. After all, her philosophy is that beautiful hair begins with healthy hair. Simone’s ultimate goals is for all her clients to fall in love with their hair, whether it be from a fresh new haircut that captures her current attitude or a color change that gives her the attitude she didn’t know she had. Simone is thrilled to align her passion for health and clean living with the core values of Clean Beauty at Mauricio Hair.